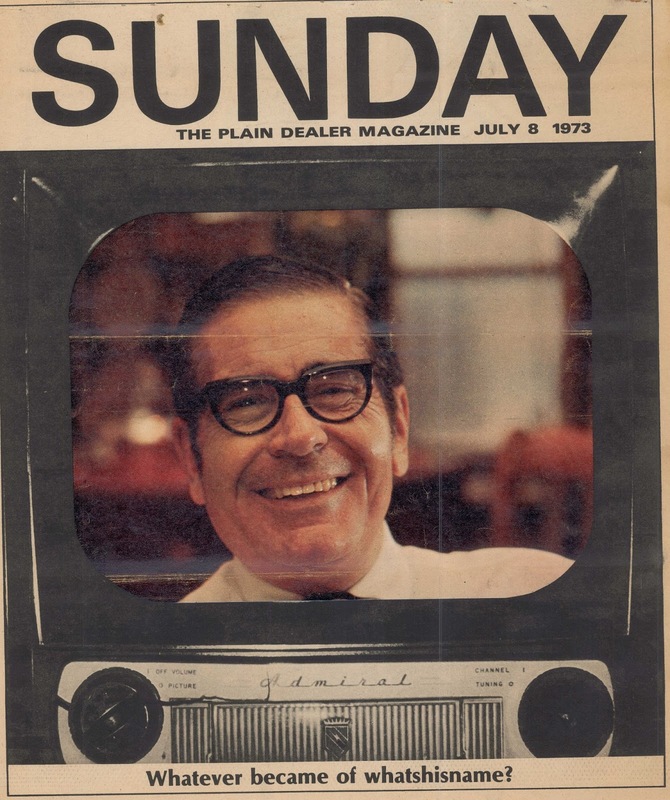 Cover Page Of The PD Sunday Magazine-July 8, 1973. 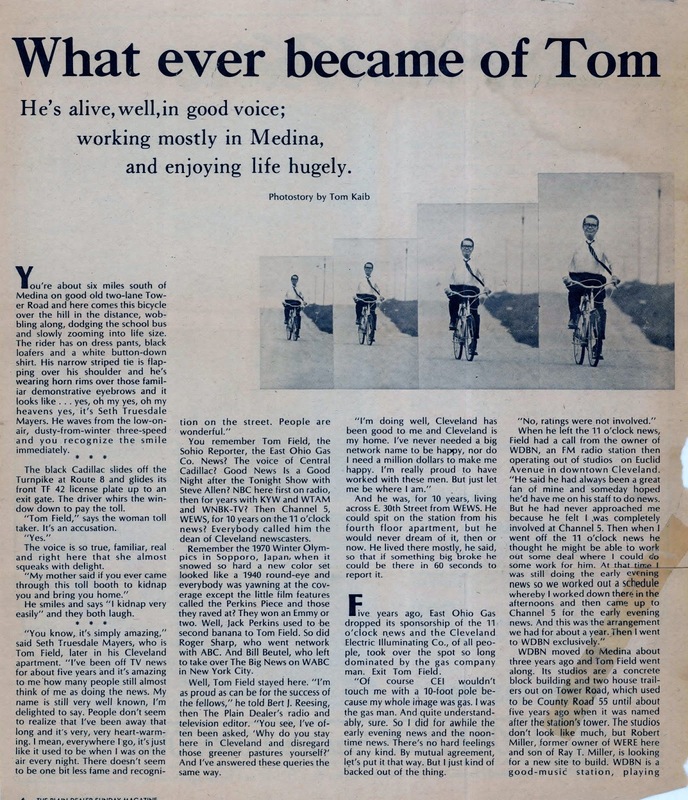 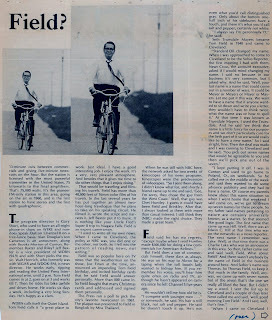 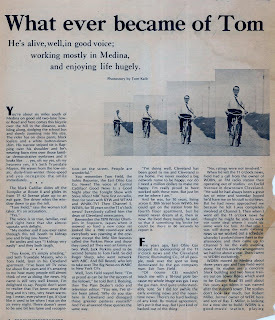 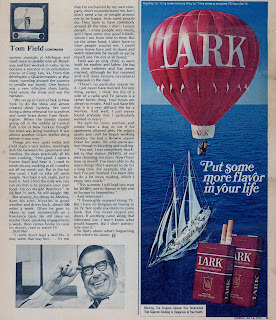 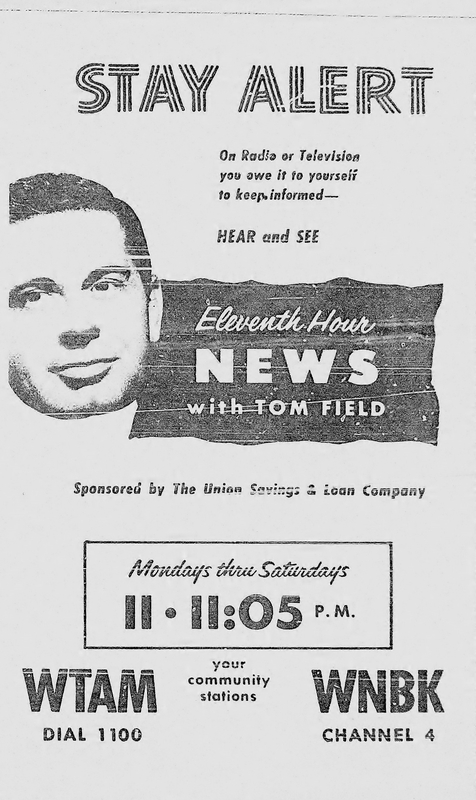 1957-Field leaves Cleveland after 17 years to go to WRCV-3, Philadelphia's NBC owned and Operated station, only staying a few months..
May 1963-Profile of Tom Field, who returned to Cleveland and WEWS in 1958, staying until 1967..
We've written on the Facebook Page occasionally about Tom Field. 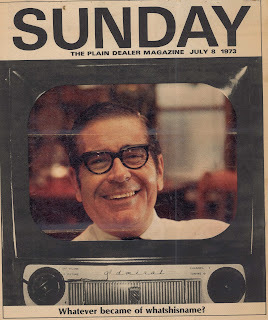 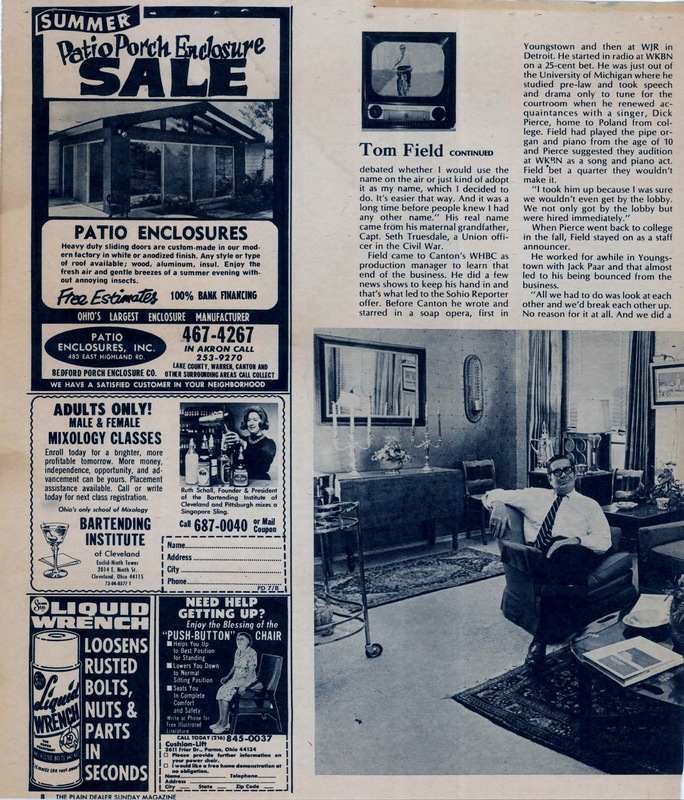 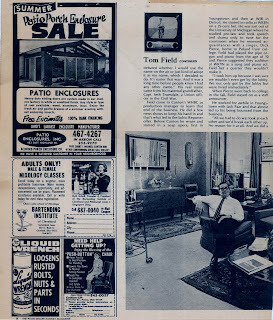 who was one of the early TV newscasters in Cleveland..His active years were 1940-into the 1980's at WNBK/KYW-TV, WTAM Radio, WRCV Philadelphia, WEWS and finally as News Director of WDBN-FM, Medina..Here is an in-depth article published in the Plain Dealer Sunday Magazine dated July 8, 1973, Courtesy of our good friend Jerry Immel. He had already been at WDBN several years and was very content with where he was..One story..Field was asked to send samples of his work to NBC in New York..He wasn't sure why but he got an answer that "we decided to go with our guy on the West Coast"..that "guy" was Chet Huntley, chosen to team with David Brinkley on NBC nightly news..It could have been The "Field-Brinkley Report. " 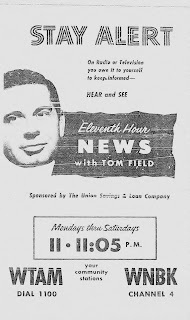 WRCV Philadelphia Station ID by Tom Field (1957)-From Jerry Immel..
Tom Field passed away May 2, 1992 in Florida..